Subway Surfers 2 Online is amazing running subway game. Swipe to turn, jump and slide to avoid hitting obstacles, barrier and subway trains. 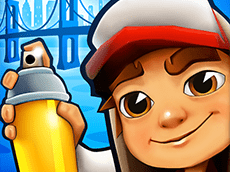 Surf and enjoy subway surfers online free!